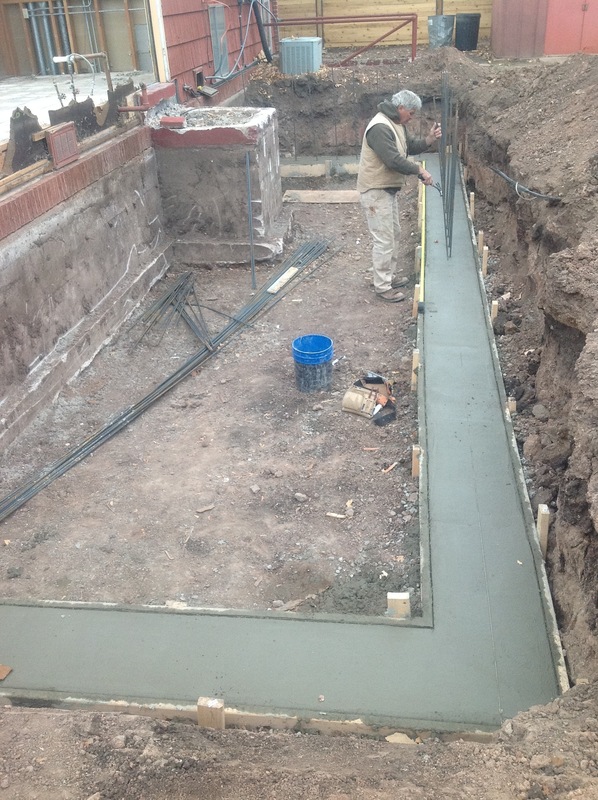 Foundation is what we have been working on this week so far. I have wise men working on the forms, so I think we are in good shape here. 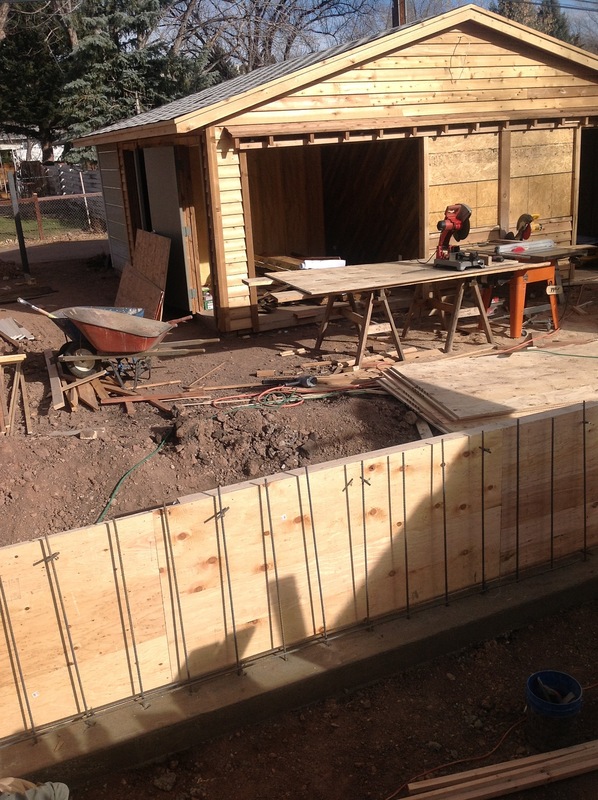 According to the Pike’s Peak region code, we have to match the existing foundation, so we had to excavate a big hole and build forms for a footer, and a stem wall to sit on top of it. We will pour the stem wall tomorrow. 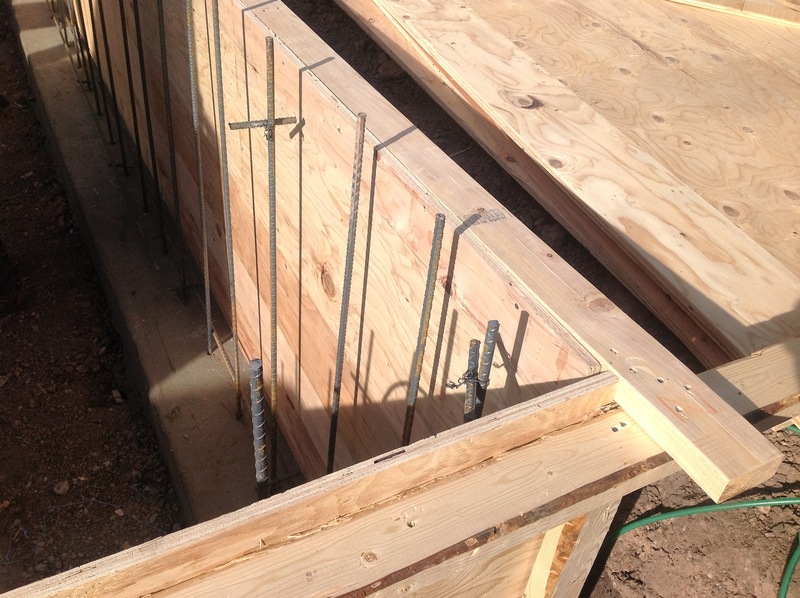 Once it dries, we begin the framing of the new kitchen, and the master suite. Kurt is in the photo below. God bless Kurt Kahle and Ed Ott. We are blessed to have both men on the job. They bring with them a lifetime of construction experience, and they put quality into everything they do.